This weekend seems to be taking a mobile direction. I have no qualms with that! The next game to get the review treatment is Run Sackboy! Run!, a mobile spin-off of one of my favorite PlayStation franchises, LittleBigPlanet. As a fan, do I like this game? More importantly, if I wasn't a fan, would I like this game? Let's find out with the SuperPhillip Central review! Is saying Run Sackboy! Run! is fun a pure fabric-cation? 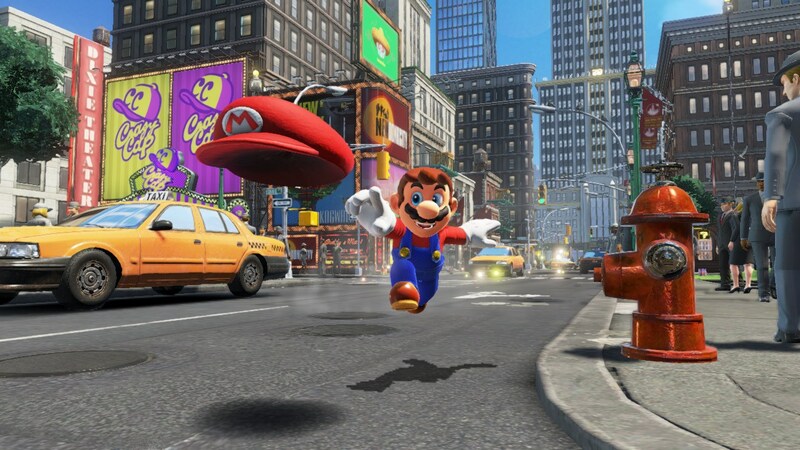 The gaming world loves Mario, and many publishers have tried to come up with a character that even becomes half as successful as Nintendo's biggest star. 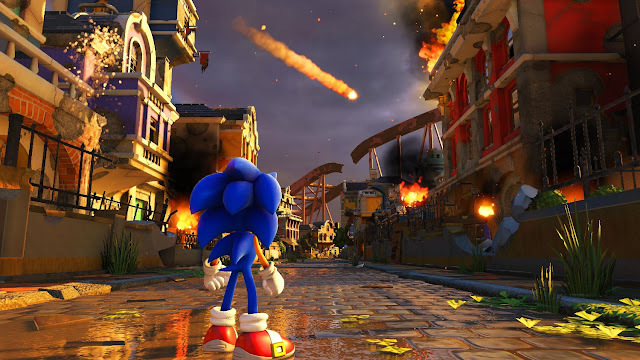 There have been many contenders in the past with SEGA's Sonic the Hedgehog and Sony's own Crash Bandicoot, but both have fallen to wayside in popularity. Since then, Sony's PlayStation brand hasn't really focused on making a rival to Mario, at least until Media Molecule's LittleBigPlanet came around starring the ever-customizable Sackboy. He's made big strides with his series built off of creation and curation, and he's even starred in his own kart racer. It seems he checks all the boxes of what a platforming mascot should be. In 2014 on iOS and Android devices and then 2015 on the PlayStation Vita, Sackboy entered the mobile domain. Sackboy's adventure took the form of an endless runner, a genre that was in no shortage on mobile devices then and is in no shortage on mobile devices now. It takes a lot to distinguish oneself from the myriad other endless runners on the market, so does the LittleBigPlanet-themed Run Sackboy! Run! do enough to do so? Well, not really. Sure, as I stated, Run Sackboy! Run! has the entire LittleBigPlanet dressing to it. 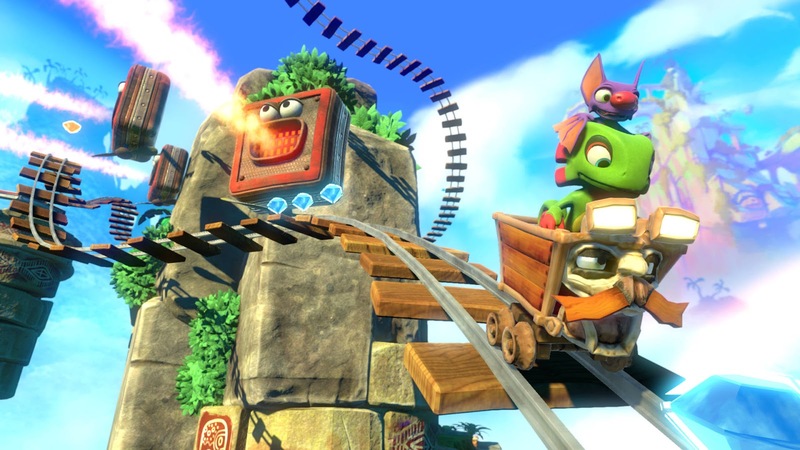 It features the second game's antagonist the Negativatron chasing Sackboy as he runs along randomly pieced together sections of level, trying to avoid spikes, enemies, and other hazards. The levels themselves are generated in a way that makes every run different. Yes, you'll recognize beginnings and ends of level parts, but the way everything else is connected will vary. The game has multiple pathways, some leading to greater rewards but with higher risks, and environmental hints like arrows in the background and lines of bubbles reveal ways to smartly run and jump through the levels to survive. The way bubbles are positioned in runs helps in determining when to jump. 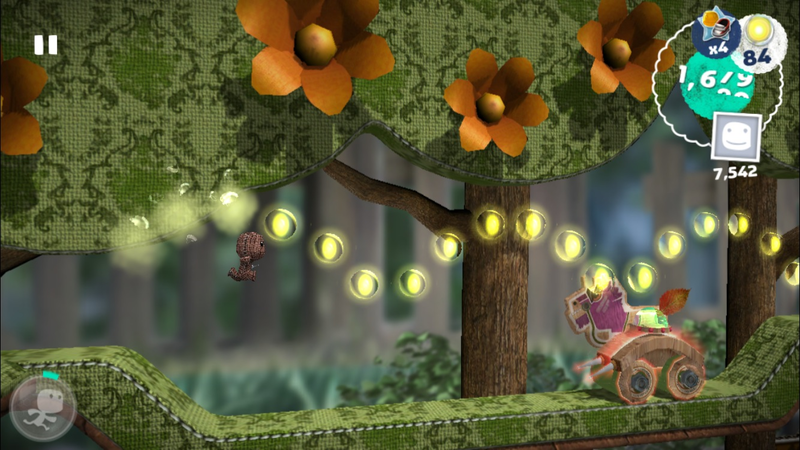 The original LittleBigPlanet saw a multitude of unique areas, so it's a "little" disappointing that only three areas from that game appear in Run Sackboy! Run! 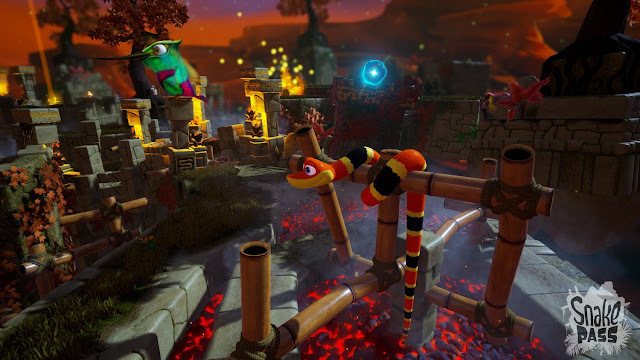 You begin in the forested Gardens, then move to the science fiction haven of Avalonia, and then rush through the cactus-covered Canyons before starting the process over again only with altered visuals, closer together hazards, and a brisker running speed for Sackboy. 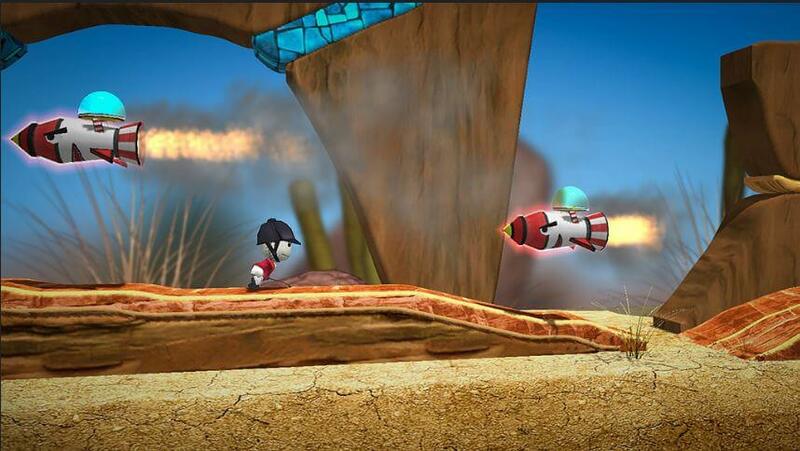 A run goes on until Sackboy takes damage from a spike or enemy (or other type of hazard) or gets caught in pink goo for too long and the Negativatron catches up to him and swallows him whole. If players have them, they can use a heart to revive Sackboy and continue the run from the point of death, but otherwise the run ends and the point total is tallied, added to a leaderboard. The goal is to reach the top of the leaderboard, devised up of character e close to the top of the leaderboard in the early going of the game. When players begin Run Sackboy! 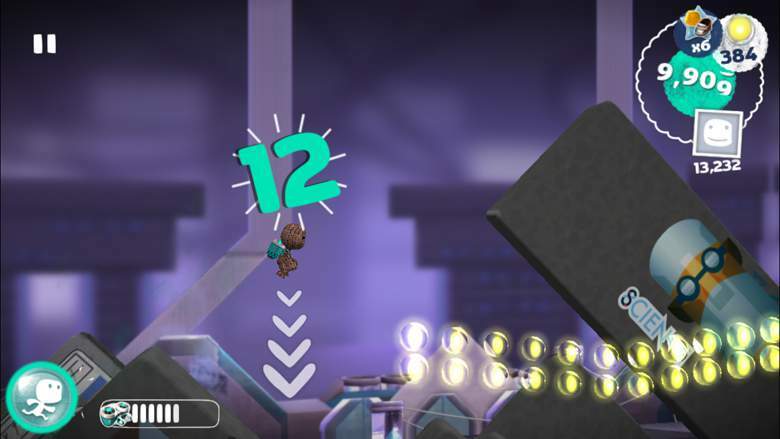 Run!, they start off with no point multiplier at all, but as special goals are completed (like performing so many dashes in one section of the game or hitting a specific number of jump pads in one run), they gain Sackboy medals. When five are gained, a multiplier is added. Also, bubbles collected in various runs can be used to buy new costumes for Sackboy, also increasing the player's multiplier with each new costume purchased. These continued goals being laid out to the player is essentially the game's "carrot on a stick" that intends to keep them playing more and more. particularly challenging goals by spending in-game currency. And being able to play more and more isn't gated behind some lame stamina gauge or other gate that requires you to wait a specific amount of time before you can play again or have to pay money to do so. The only purchases available come in the form of bubbles, hearts used for continues, and permanent boosts like double bubbles. These are merely ways to get to the top of the leaderboards (either the in-game character one or Facebook-only one) more quickly. Purely inessential to the overall enjoyment of the game. What Run Sackboy! Run! suffers from, however, is a twofold problem. For one, it doesn't take too terribly long for repetition to set in. Doing the same types of runs, grinding for bubbles, slowly getting enough to buy upgrades and new costumes, and so on and so forth-- it becomes stale after awhile. The second, and most disappointing, is how the developer of Run Sackboy! Run! merely made an endless runner with a LittleBigPlanet coating instead of a game that exudes and celebrates the many elements of the series. Whether it's being able to customize your Sackboy with different costume parts instead of just a handful of different costumes or even being able to create and share your own runner levels with friends and online-- I feel a ball has been dropped severely with how far the devs could have run with the LittleBigPlanet license. As if the sharp barbs of the cacti weren't enough in the Canyons, there are these missiles to contend with! That said, runs do offer some variety, as there are different power-ups that can be collected. These come in the form of bubble-attracting magnets, jetpacks that transform levels into pure flight sections where the goal is to hover along strings of bubbles, and a hang glider which is used to soar across distances. These power-ups offer temporary uses, but by spending bubbles, you can extend how long these last. 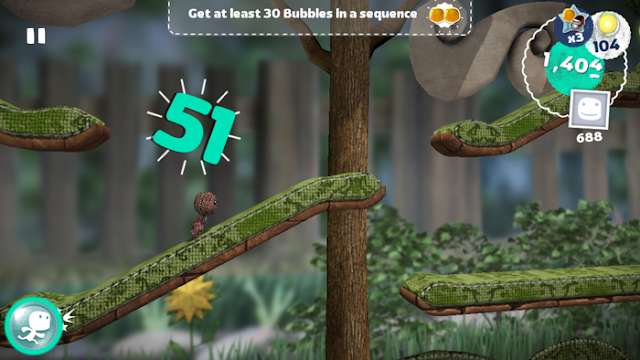 Propel Sackboy into these strings of bubbles for an excellent means to add to his wallet (and point total). 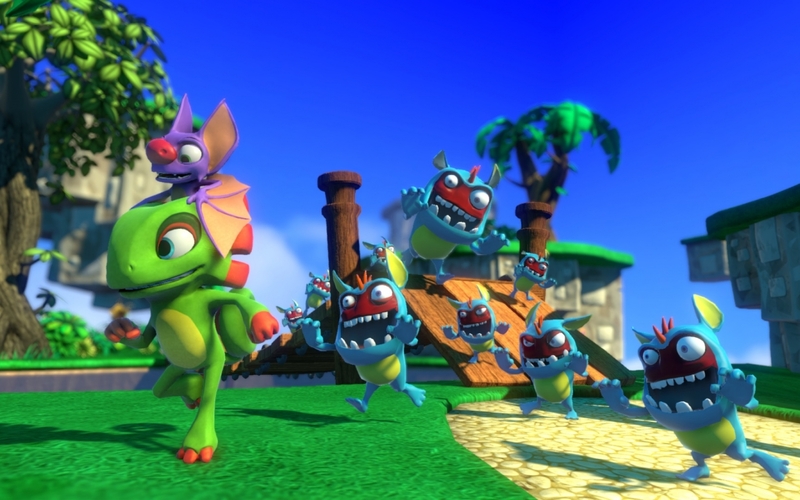 Another positive about Run Sackboy! Run! is the ease of the controls, regardless of if you're playing on a smartphone, tablet, or PlayStation Vita. Just tap to make Sackboy jump (a quick tap will do a short jump while a lengthier tap will do a higher jump), slide your finger to the right to have Sackboy perform a quick dash forward, and when enough bubbles have been collected and you desire to use it, tap the bottom left corner to initiate a protective shield around Sackboy which will block all damage from hazards and enemies (even allowing him to reach otherwise deadly alternate paths) for a short period of time. As it stands, Run Sackboy! Run! is just a good endless runner that doesn't do enough to feel unique on platforms with so many better, more creative, and more distinctive endless runners on them. If you have no attachment to the LittleBigPlanet series, then you're probably not going to find too much to enjoy about this game. 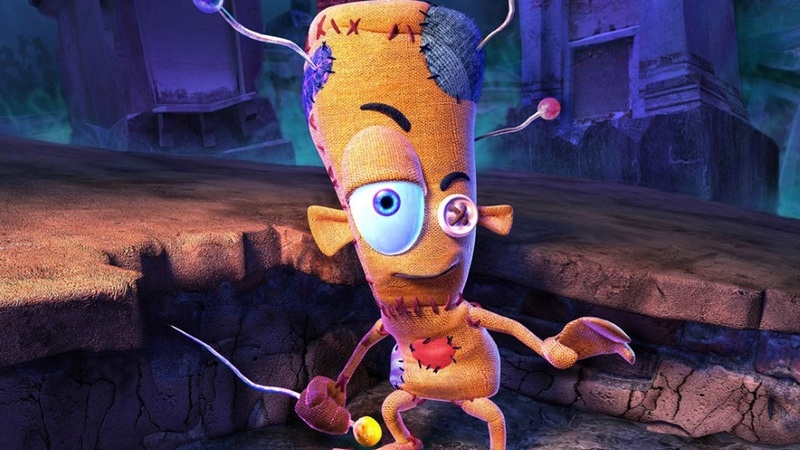 Fans of Sackboy and Media Molecule's franchise will have some fun here, much like I did, but it won't be too long before you feel like you're going through the motions and feeling strung along. FZ9: Timeshift launched late last month, and SuperPhillip Central has come around to not only trying it out but reviewing it. 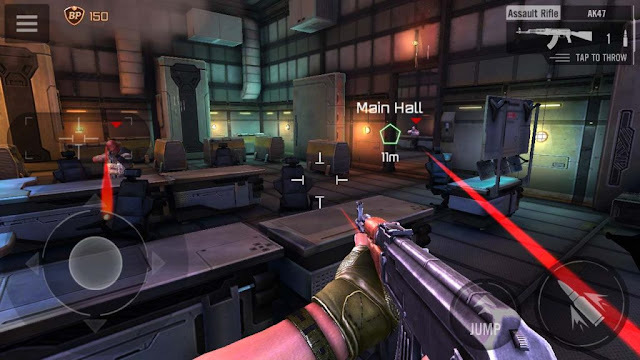 An FPS on a mobile device? That must be a recipe for disaster! See why it's not with this review. Some genres really lend themselves well to mobile gaming: puzzle games, RPGs, card games, and so forth. However, some don't. One particular genre that I struggle to find enjoyment in on mobile devices is the first-person shooter. The often frantic gameplay that these games require is made difficult by touch controls. That made me a bit hesitant to try Hiker Games' new mobile game for iOS and Android, FZ9: Timeshift. However, its core mechanic turns what is usually a hard genre to make fun on mobile a lot of fun. FZ9: Timeshift's core mechanic incorporates a Max Payne and Matrix-like bullet time slowdown effect when the player isn't moving. Here, bullets move incredibly slowly. When the player walks, time passes normally. 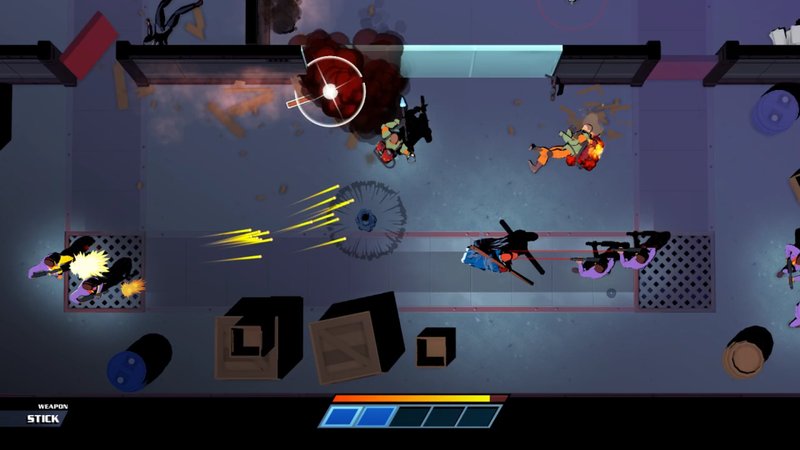 This offers the player the ability to see the red trails from enemy bullets in the slowed down view and move accordingly to dodge them, as all it takes is one hit for players to die. The trains may move, but these targets are currently stationary. Here, Hiker Games takes what would ordinarily be a difficult genre to implement to mobile and makes it actually work. Because you can slow down the action at any time, you don't need to frantically move with quick speed like you would in a traditional FPS. That doesn't mean you can't get a bullet to the body in slow motion mode, however. If you stand still long enough when an enemy shoots at you, you will die. You can see the red trails of the bullets to determine when and where to evade. Many FPS games especially nowadays have you equipped with two guns that can be cycled between, and if you want a new gun, you have to drop one of the two. Then, there's ammo dropped by foes to pick up. FZ9: Timeshift doesn't play like this. You begin with one gun with a very limited amount of shots, and when the gun runs out, you need to pick up a new one, usually either dropped by an enemy or found in a given level's environment. This constant need to pick up new guns when yours runs out adds some strategy to the game. It means you need to pick your shots well. Thankfully, the game has a button on it that automatically locks on to a nearby foe, one in your immediate view. It doesn't always mean you'll make the shot on them, especially moving targets, but it usually offers a good level of precision. Of course, you'll want to slightly adjust your aim if you wish to go for a headshot, something that offers more points. 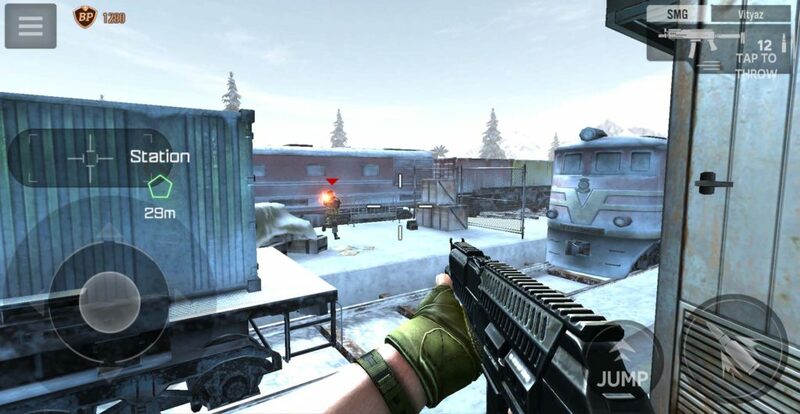 The campaign of FZ9: Timeshift possesses about eight chapters with approximately 5-6 missions each. These are usually bite-sized in length, though some are quite lengthy in comparison. With the one-hit deaths, it can mean redoing a sizable portion of level in later chapters, but this burden is lessened with the ability to use gems to revive if desired. 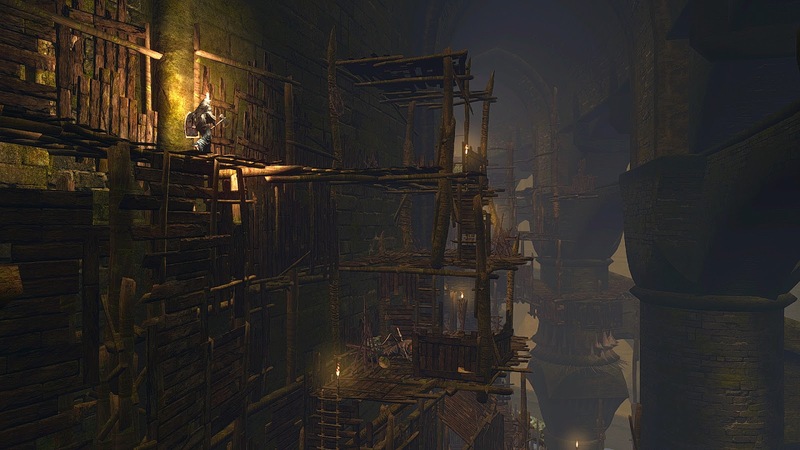 Levels themselves are linear and offer no rewards for exploration for the few occasions in the game where there is any semblance of exploration to be found. This also results in each run through a level giving players little variation in how they complete it. Apart from the campaign, other modes unlock as the player completes chapters in the campaign. There is a cycle mode that randomly chooses a mission type for the player to try to overcome. 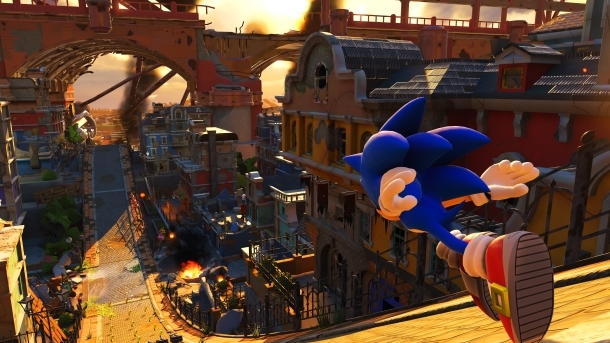 Some of these include defending an area from enemies, jumping over a parade of oncoming reckless-driving cars, maneuvering and jumping through a laser grid, and picking up enemies with a sniper rifle on an opposite building rooftop. There is also a PvP mode where you compete against a player to get through a campaign level before they do. This mode incorporates a ranking system to keep players engaged. FZ9: Timeshift offers controls that are mighty easy to follow. There's a virtual analog stick on the bottom left of the screen, and above that is a section of screen to press to automatically lock-on to a nearby enemy within your view. 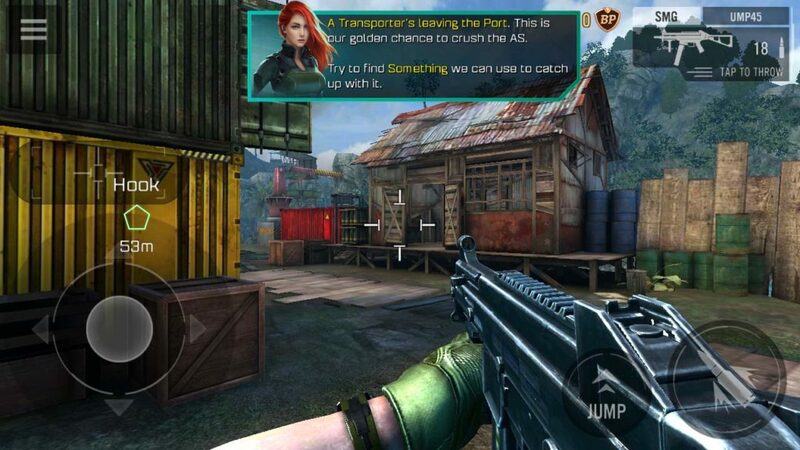 On the right side of the screen are the jump and weapon fire buttons. When you're near a gun you can pick up, you need to just tap in the center of the screen. Finally, looking around is performed by sliding your finger along and around the screen. As stated, this scheme works well considering the pace of the game, which is quite atypical of the other FPSes on mobile devices. Now, all that sounds good, but here's where the rub is. FZ9: Timeshift is a free-to-play game with in-app purchases (IAPs). That's fine and all, but where it gets annoying is that you have a limited amount of energy that you can use. Doing story missions and other types of events in the game consumes a different number of energy. This results in playing until the game basically makes you wait to continue. Sure, your energy count returns to full after about two hours, but it's obnoxious regardless. Then, there's the need to grind battle points from completing missions of varying types in order to purchase all of the bonuses in the armory. FZ9 won't unlock the next chapter of missions in its campaign until you purchase all of a given tier's bonuses. This need to grind and the limit of how much you can play equals unnecessary delays in campaign progress. I'd rather just pay a $10 to $20 one-time purchase than to have to endure all of these inconveniences. FZ9: Timeshift isn't the most impressive gaming app on either the Apple or Google Play storefronts. Its visuals hearken back to the PlayStation 2 era, and even then the performance isn't steady. Of course, if you watch gameplay of Timeshift, you'd think there was crazy amounts of stuttering when in actuality it's the player constantly being in and out of the bullet time mode. 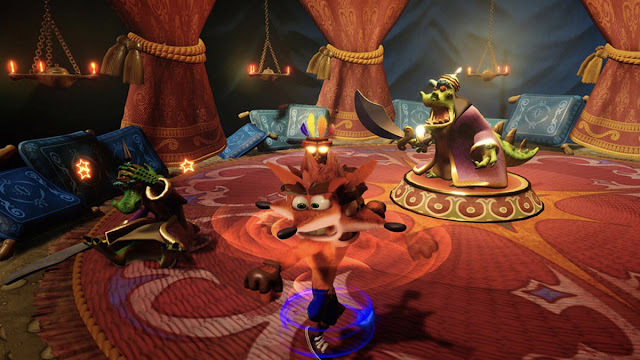 The music delivers a mix of level music and more intense battle music when enemy encounters get underway while the sound effects are rather rote at best. There is no voice acting to speak of in the game. This game definitely has a low budget feel to it. Through using a unique gameplay mechanic in the ability to slow down time upon standing still and turning, Hiker Games has come up with its own solution as to how to make a first-person shooter work on a mobile device without worrying about the frantic frenzy the genre usually offers. 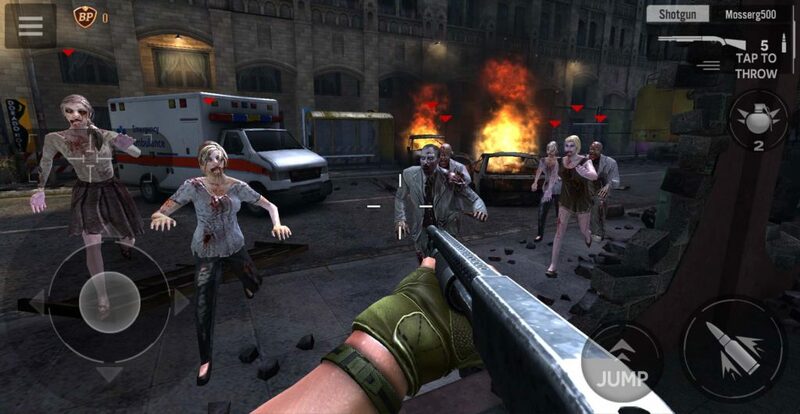 It's the type of frantic frenzy that makes FPS games on mobile devices not work. Here, with FZ9: Timeshift, we have an FPS that works and works well with its controls thanks to the innovative bullet time effect. The time and play restrictions are totally disappointing and get in the way of fully enjoying the game, but other than that, I enjoyed my time with Hiker Games' latest. Sure, I didn't feel like Neo from The Matrix, but I felt badass all the same. 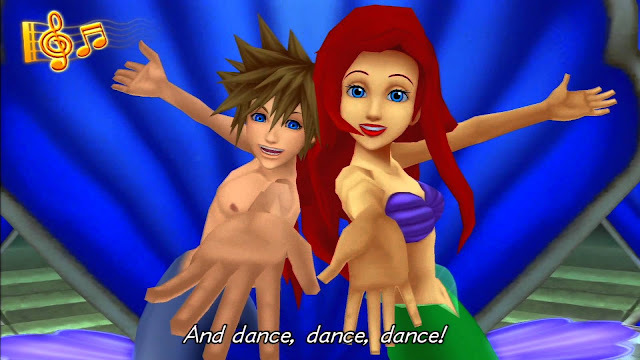 We begin this volume of bad gaming levels, stages, and whatnot with an entry from Kingdom Hearts II. 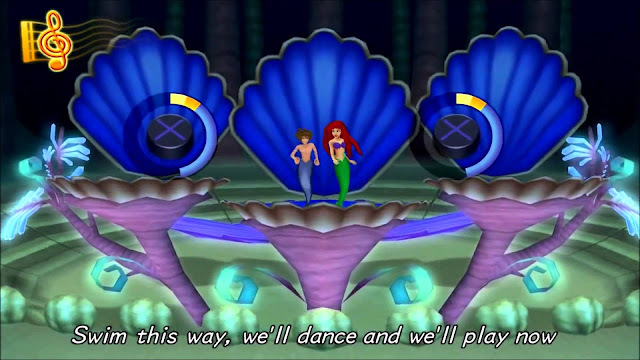 In the original game, The Little Mermaid's Atlantica was a bit troublesome as Sora, Goofy, and Donald needed to not only battle foes but do so while swimming, something that slipped up players with its atypical controls (at least from the rest of the game). Super Mario Sunshine is hardly a bad game, but to me it's by far the worst 3D Mario game currently out. There are so many poorly thought out or just plain annoying segments in the game that the whole experience is dragged down. From sections where Mario has to survive inside a giant pachinko machine to dealing with the camera inside the Ferris wheel of Pinna Park, there's a lot to not like about Super Mario Sunshine despite it still being a competent game. 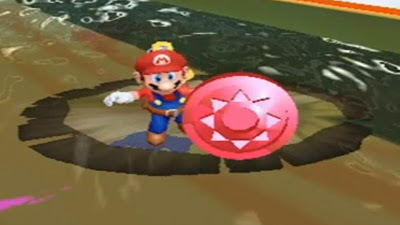 One of the most aggravating levels in Super Mario Sunshine comes in the form of one of Delfino Plaza's secret Shines, the Super Mario 64 Power Star equivalent of Sunshine. Not only is the trek to this dreaded bonus stage a massive annoyance, but the trip is a pain, requiring Yoshi, lots of patience, boats to slowly ride, and plenty of possibilities to ruin your trip by falling in the water, thus forcing you to redo this long and drawn out ride. When you finally use Yoshi to spray away the gunk blocking the pipe into the bonus stage, you would expect your reward, but NO. 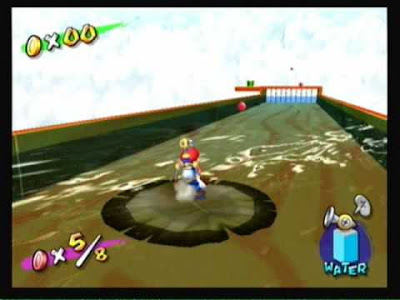 The development team laughs at you, taunting you with one of the most sadistic sections in the entire Super Mario Sunshine experience, the Lily Pad Ride. This ride has you riding on a giant lily pad across a stream of poisonous water that will kill Mario instantly if he touches it. Your goal is to collect eight red coins along the ride while using Mario's FLUDD to guide the lily pad into the coins. Good luck with this because the ride is turbulent and the tides will send you floating off course rather easily. It's a horrid level and quite possibly the worst that Super Mario Sunshine has to offer. 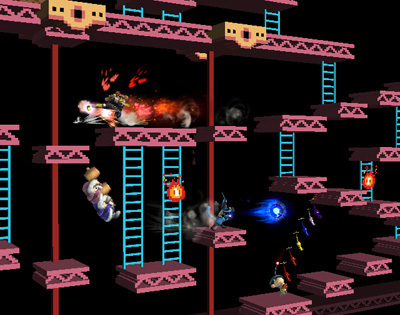 A Super Smash Bros. Brawl stage that is a perfect representation of the third level of the classic Donkey Kong game, 75m isn't one of Brawl fans' favorites, especially for competitive players. It's not even a favorite of mine, and I'm a usual lover of crazy stages. What makes 75m bad, at least in my opinion, is that there's too few wide enough platforms to have serious fights on, and the only one that is worthwhile to have these types of battles on is at the very top. Unfortunately, this section of stage routinely gets hammered by trampolines that interrupt the flow of battle. 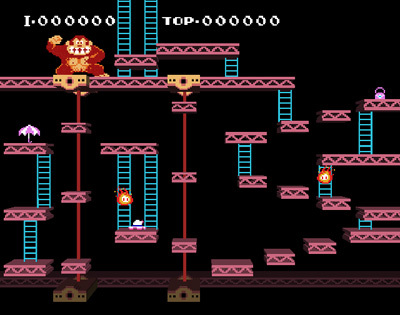 Then there's the fireballs that climb up and down the ladders in the middle and right portions of the stage. Really, it's more about evading all of the stage hazards rather than being able to punish your opponents with epic smashing showdowns. It seems cruel then that the stage made a return in Super Smash Bros. for Wii U. Things like this are why people jokingly (and sometimes not jokingly) yell "SAKURAIIIII!!!" (the director of the series). Since its conception, Bad Levels in Gaming History has generally considered bad levels bad because of poor design. Dark Souls' Blighttown actually doesn't suffer from that. Instead, its problems come from a purely technical standpoint. 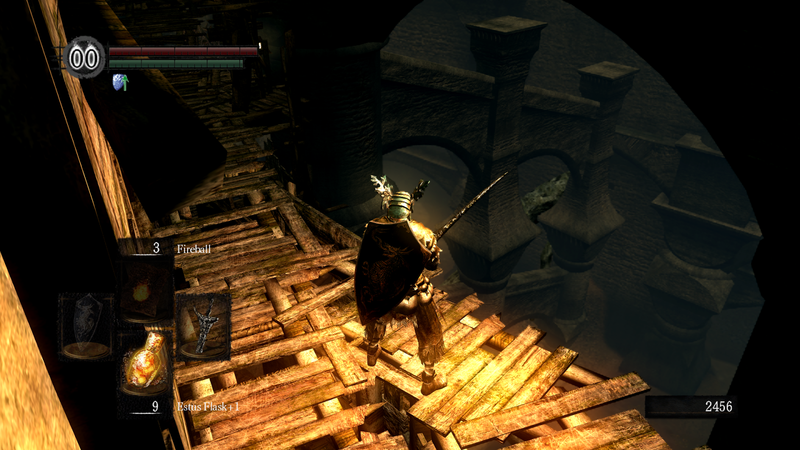 For this uninitiated, Blighttown is a massive, murky, and poisonous swamp that slowly drains your warrior's life as they slog through its yucky water. The continued muck to move through is but one thing to worry about in the level. Other bothers include flies and foes that use either melee attacks or fling projectiles. Here is where the problem of Blighttown comes. With so much happening in the level and all of the lighting involved, Dark Souls' frame-rate would drop severely, almost like a player's health when facing Ornstein and Smough for the first hundred times. If some of the bosses in Dark Souls didn't cause players to suffer from nightmares, the frame-rate in Blighttown most certainly would. Final dungeons in RPGs are meant to take your team of heroes who have weathered battle after battle, boss after boss, and dungeon after dungeon, and pit them against an ultimate challenge. 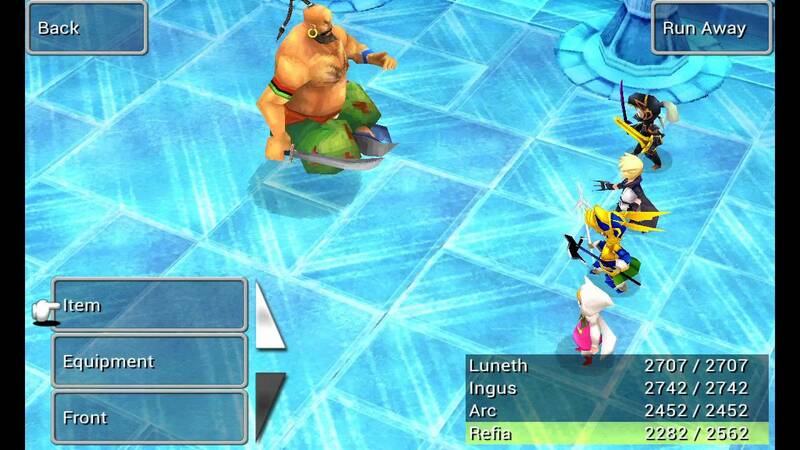 Final Fantasy III (not to be confused with the SNES game that was numbered III in the West when it originally release but is actually VI) does give players' parties an ultimate challenge for sure, but it's on the side of excruciating and ridiculous rather than challenging and fun. 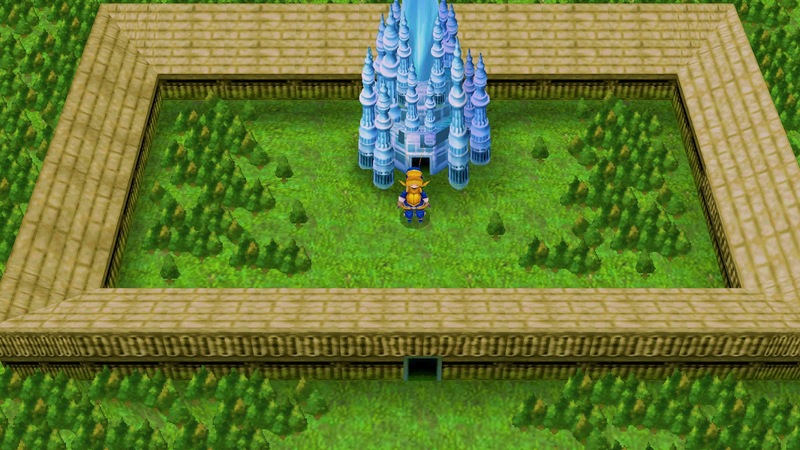 The Crystal Tower is the final dungeon of Final Fantasy III, and why it's such a bad level is that it's an insane time investment and endurance run. You practically have to go through multiple sections of dungeon just to reach the final boss. Okay, that doesn't TOO bad, but here's the kicker-- through the massive and time-consuming dungeon areas you fight enemies and explore, there is NO save point to speak of. At. All. This means that if you reach the final boss and die, you have to do the entire dungeon all over again. So if you're the type to hunt for treasure, you'll be making multiple trips back to the entrance of the Crystal Tower just to go outside and save your data. When you finally feel you're ready to take on the final boss, be hopeful that you're able to survive so you don't have to redo a significant amount of time. Our first review of April comes from tinyBuild and Team Shifty, and it's the Nintendo Switch and Steam release, Mr. Shifty. How did the game turn out? Let's find out with the SuperPhillip Central review. Mr. Shifty has you playing as the eponymous protagonist, infiltrating the world's most secure skyscraper in search of a precious treasure, Mega Plutonium. What follows is 18 stages of intense overhead viewpoint action, each on a different floor of the building, that will get your pulse racing and mind thinking with its blistering fast action and mild puzzle solving. First, let's get something out of the way: Mr. Shifty is no doubt inspired by Hotline Miami, what with its overhead perspective and combat. 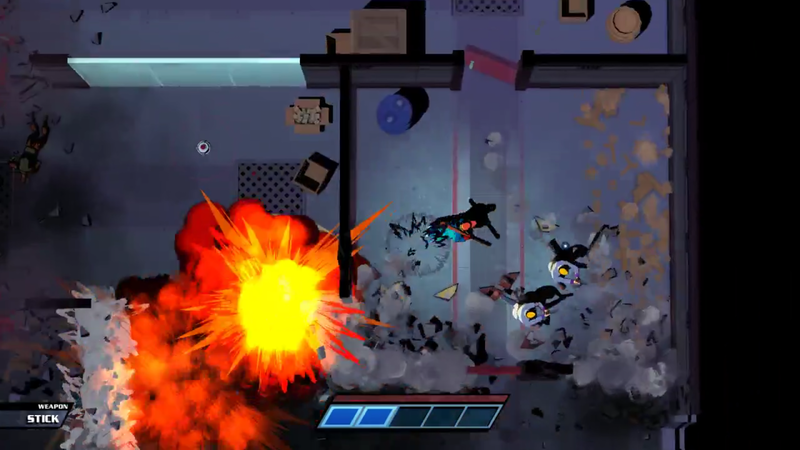 However, what sets the game apart is its unique gameplay hook of Mr. Shifty being able to, well, shift through walls and across short distances, disappearing and then reappearing several feet head. This mechanic is necessary to not only dodge enemy bullets, attacks, and to get a jump on foes, but also to pass beyond walls, lasers, and much more. Mr. Shifty forces you to use the shifting (or teleporting) mechanic smartly, as in later levels you'll be overwhelmed by enemies, so cleverly shifting from one room to another or from one side of a group of enemies to another is a tactical decision that helps confuse foes. You have to be smart with your shifting because one hit, whether with a bullet, a punch, or an explosion, results in death, forcing you to restart the current area of rooms you're in. However, this is no huge annoyance most of the time for two reasons: 1) You're almost instantly brought back to retry the area thanks to the quick loading times after death, and 2) Most areas aren't too large, meaning that you don't have to redo a significant section of level. The different ways you can go about taking on an area of enemies makes each combat situation varied. That said, you can't just spam the shift button and teleport all around your enemies and in the room. Each time Mr. Shifty teleports, a piece of his gauge is depleted. There are five slices of gauge to use, so shifting five times in a row in quick succession empties it, leaving you a sitting duck. Or a sitting Mr. Shifty in this case. Fortunately, the teleporting gauge fills up rather quickly, so as long as you're not mashing on the shift button, you should have more than enough opportunities to shift across the levels. Our teleportation proficient protagonist's main way of attacking enemies is through punching them. Most enemies take between 2-3 punches to defeat. However, there's also a series of weapons that Mr. Shifty can utilize in levels, such as mops, vases, poles, and even grenades that are thrown at him (though you definitely don't want to hold onto them for long, like, at all). The weapons when either used on foes by directly attacking them or throwing them at them generally defeats them in one hit, so they're great to use. Many, though, do get destroyed after some modest use. Sometimes the way to go about defeating enemies is with a trusty old 2 x 4! 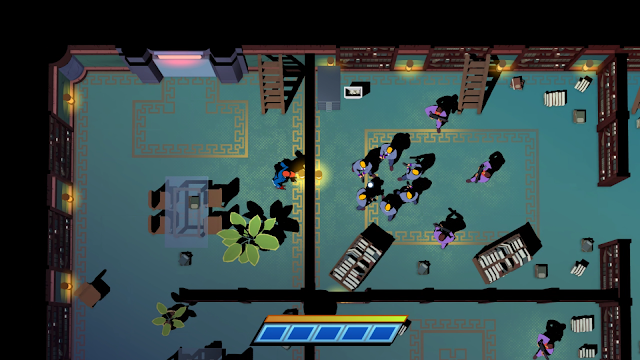 Outside of combat scenarios, Mr. Shifty occasionally introduces environmental puzzles and sections to complete. 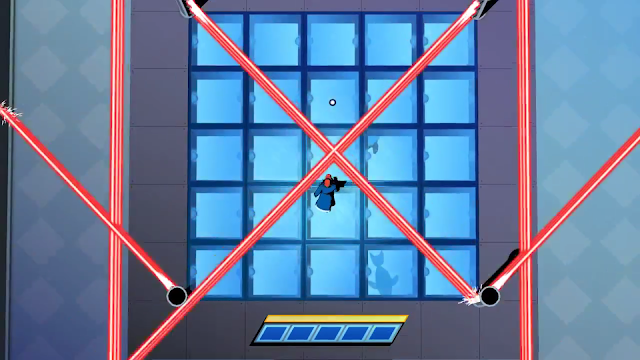 Having to evade an obstacle course of lasers by carefully shifting past them and rushing through a gauntlet of red barrels as a laser follows closely behind that causes them to explode (and hoping you're fast enough to not get caught in the explosions) are but two of the action-centered environmental challenges to overcome, though they might get frustrating with the aforementioned one hit deaths. Then, there are sections where you have to use your mind to figure out how to destroy a section of wall by using a nearby turret and exploding barrel or have to figure out how to approach sections of Mr. Shifty where you completely lack your teleporting powers. When he's not evading bullets from enemies, Mr. Shifty narrowly escapes from the burn of lasers. 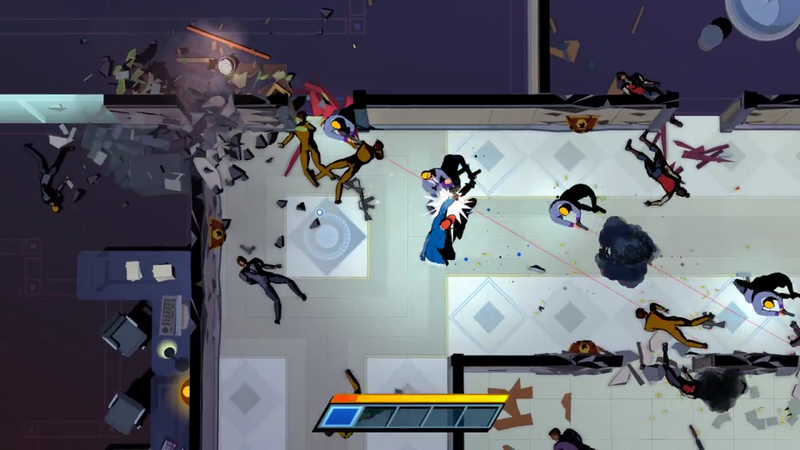 Mr. Shifty doesn't have a particular lengthy campaign, having one that can be completed in about four hours, but it makes for one that doesn't really outwear its welcome. The campaign routinely introduces new concepts to the player like different combat scenarios, as well as obstacles like laser grids, proximity mines, explosive barrels, and shift-free zones. That said, there also isn't much to do once the campaign has been initially completed outside of trying to go for Steam achievements. For the Switch version, really the only replay value to get out of Mr. Shifty is returning to stages to try to not die at all, getting a perfect run in each stage. This won't matter much, though, to Switch owners due to the lack of achievements. The Nintendo Switch version of Mr. Shifty possesses occasional frame-rate dips and stutters during high moments of action, particularly explosive scenarios. At the same token, there IS a lot going on on screen, including one room where you can have upwards of three dozen defeated henchmen bodies laying on the ground after Mr. Shifty dispatches them. The visual style is rather pleasing to the eye, and the music is a mix of mellow tunes and pulse-pounding rock. Certain explosive situations can really impact the frame-rate occasionally. Mr. Shifty is a special game not due to its level design (though that does surprise and delight sometimes), but through its unique hook of teleporting and shifting around the game's 18 stages, attempting to get the jump on foes while dodging attacks and solving puzzles. 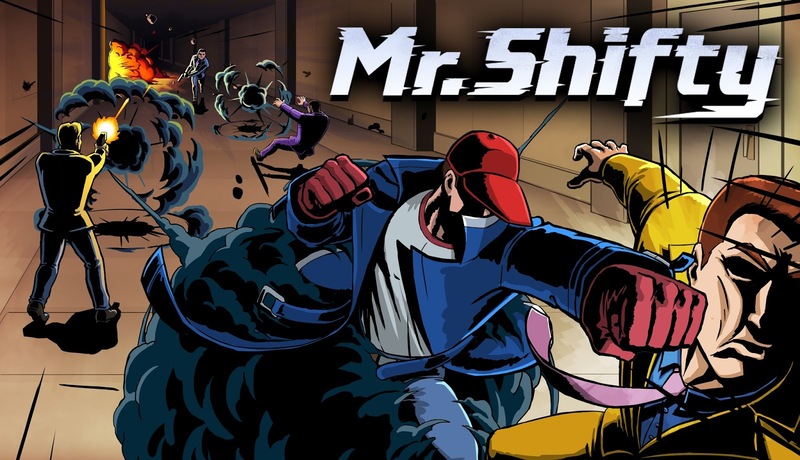 I happened to enjoy both sections of Mr. Shifty, the combat ones which are the star of the show here, and the non-combat, more puzzle or gauntlet-style challenges. If you expect a grand scale campaign that will last you ten hours, you're going to be greatly disappointed, especially if you're a one-playthough-and-done kind of player, but otherwise Mr. Shifty is an exciting action game that offers both tense combat scenarios and engaging environmental puzzles and obstacles to overcome. Review copy provided by tinyBuild. A new brings five new video game themes to SuperPhillip Central's readers, but reading isn't the main draw to SuperPhillip Central's Favorite VGMs. Instead, your ears will be doing the work here through listening to these five newest VGM volumes. 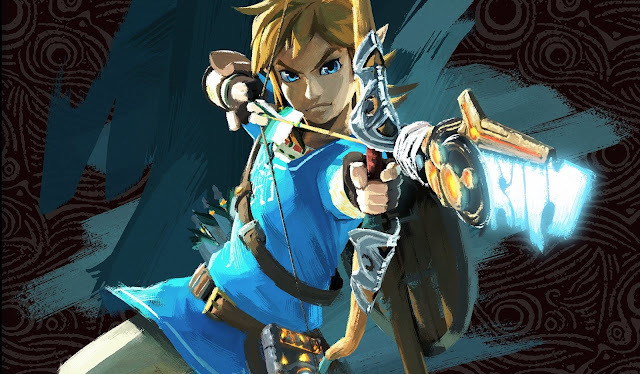 We begin with one of the highest regarded games in modern gaming history with The Legend of Zelda: Breath of the Wild. Then, we take a brief vacation to Wuhu Island with Wii Sports Resort. 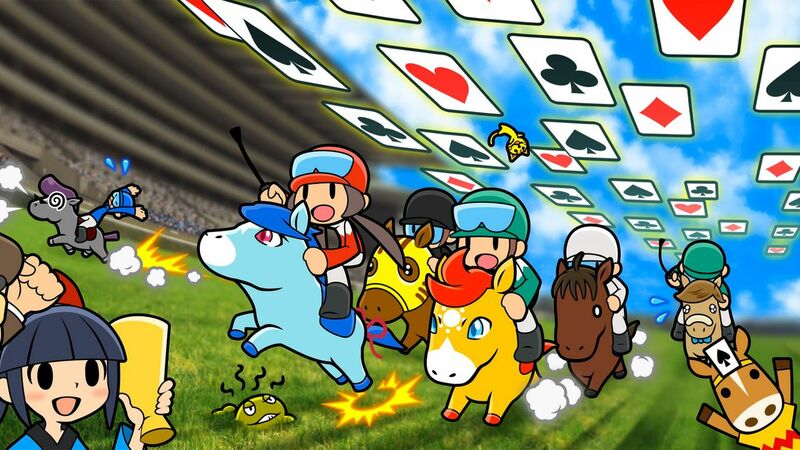 Pocket Card Jockey gives us an unexpected type of song for a solitaire game while Teenage Mutant Ninja Turtles' 2003 outing kicks shell. 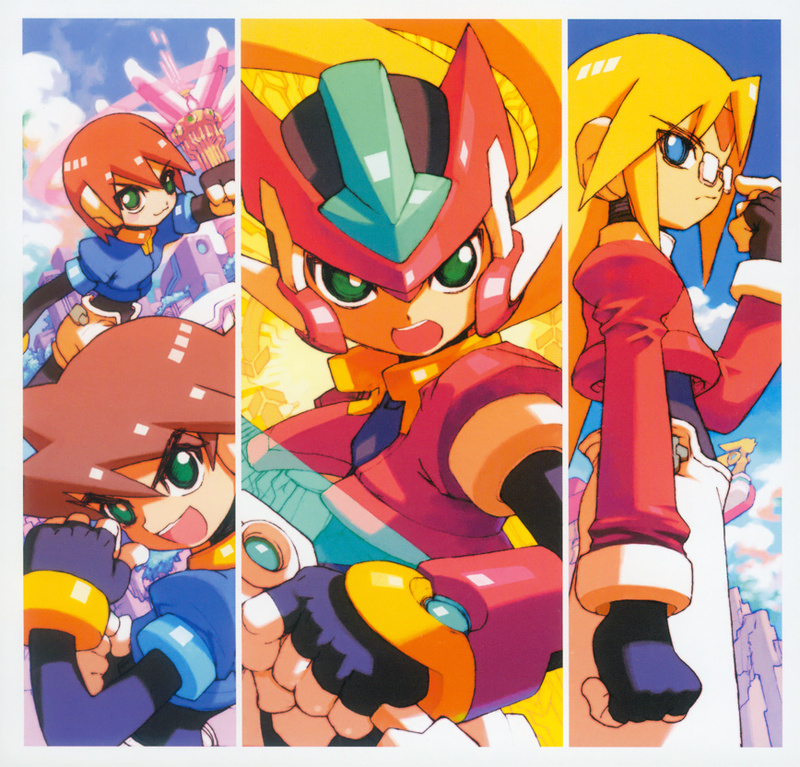 Last but not least is an arranged version of a song from Mega Man ZX, a lesser known Mega Man sub-series. Click on the VGM volume name to hear the song specified, and check out the VGM Database for all past VGM volumes. Now, let's get on to the music! Let's start soft. And then let's get emotional. And finally, let's get a bit majestic. In less than two minutes listeners are taken on a musical journey, much like the amazing adventure Link sets out on in the critically acclaimed The Legend of Zelda: Breath of the Wild. If you're knowledgeable on the soundtrack, then you know that the main composer of Animal Crossing: New Leaf worked on most of the music. 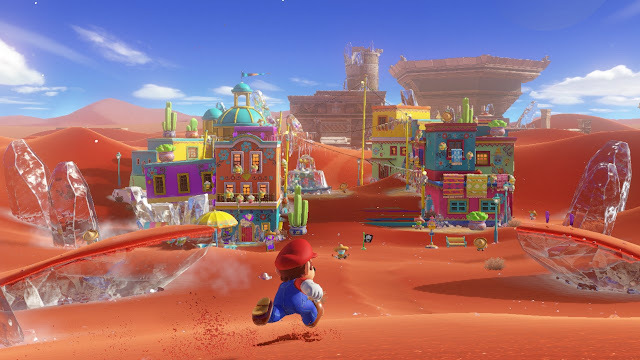 It's an amazing progression, going from the cute world of Animal Crossing to composing a game of this serious scale and scope, don't you think? 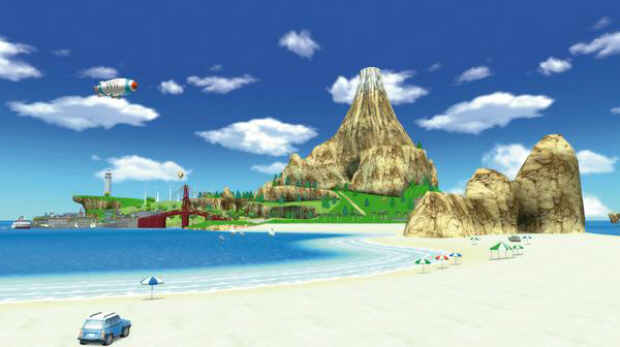 It's a bit early for summer vacation, but that's exactly what Wii Sports Resort reminds me of. The main theme of Wii Sports got an updated version with Wii Sports Resort, and it's absolutely magnificent. I mean, who doesn't love the pitter-patter of the pan flute, the strumming of the electric guitar, and the piano melody? I'll tell you who doesn't-- communists. For everyone else, this happy tune will get them ready for a Wii Motion Plus offering second to none. 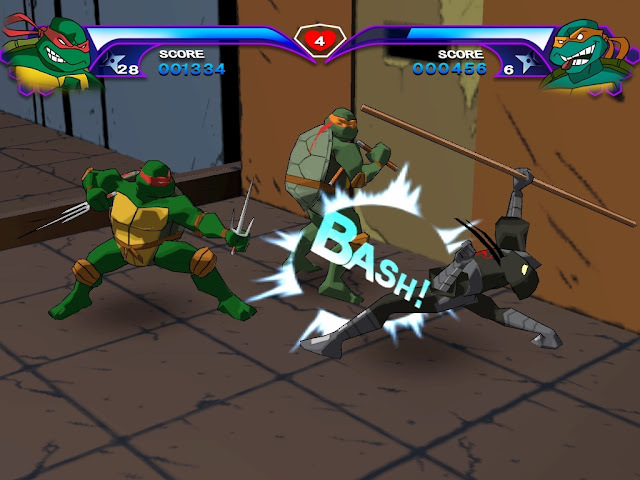 While the 3D beat-em-up brawler didn't reach anywhere near the same highs as Konami's past efforts like the TMNT arcade game from '89 or Turtles in Time, the first Teenage Mutant Ninja Turtles game based off the 2003 incarnation of the heroes in a half-shell was backed by a really terrific soundtrack. 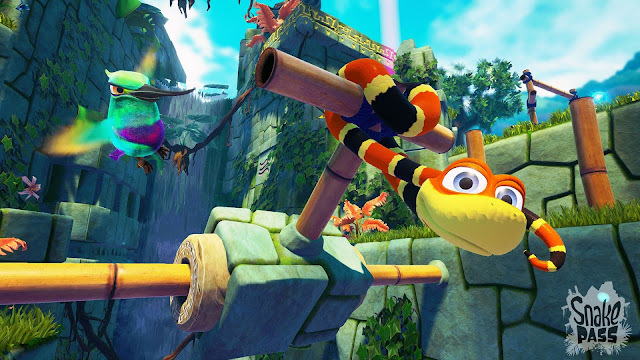 This first level theme is catchy and rocks hard!